Michael, a Kinston, NC native, and Leah, a Baton Rouge, LA native, met at an annual Halloween Iron Pour at their alma mater East Carolina University in 2000. They purchased a dilapidated 19th century farmhouse with a cinder-block country store in 2004, and married at their renovated home and studio in 2009. 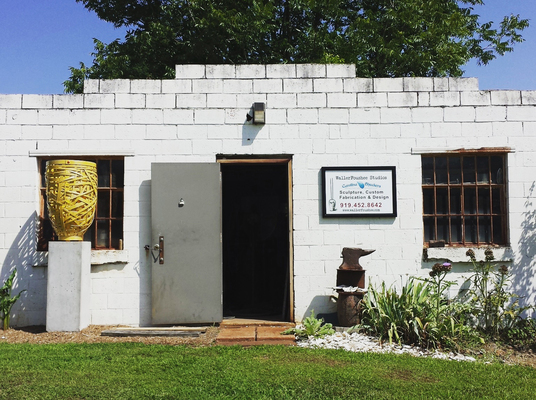 They started WallerFoushee Studios in 2003, and have since collectively created over a dozen public art projects throughout North Carolina while creating individual personal work. They live in Hillsborough, North Carolina with their children Neva and Herbert.